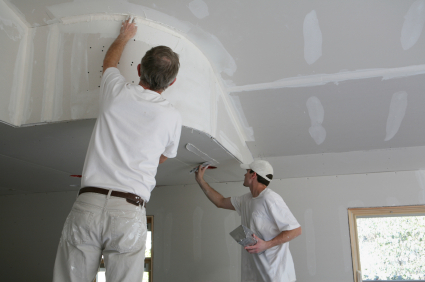 Before a drop of paint is ever put on the walls, the quality of your drywall work will have a dramatic impact on the final outcome of your project. That is why we are excited to now offer drywall hanging and finishing on a limited bases. Pricing is determined based on many factors including but not limited to the size of the job, location of the job within the home and timeline. 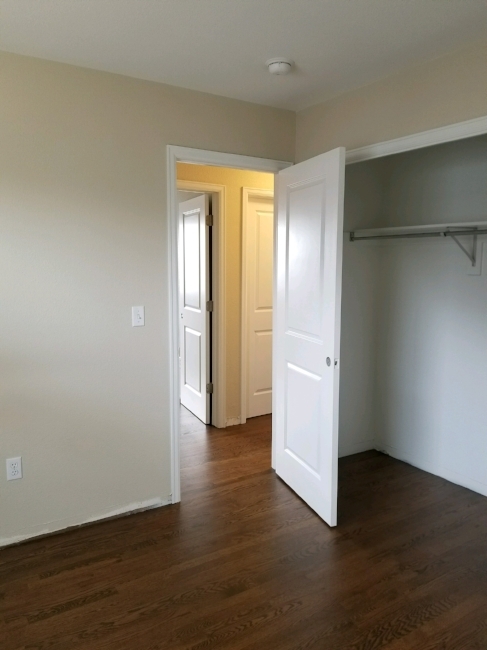 While we are open to taking on drywall projects that will not require painting at the end, our best pricing is reserved for those who want us to take on both aspects of the project. Acoustic ceilings served a great purpose when they first came onto the scene - and that was a quick and forgiving finish to your ceiling. But, as trends often do - this trend has officially left the building and its departure has left many homeowners unsure of where to start with updating the look of their home. Removing the "popcorn" is one way of giving your home a refreshed and polished look, but this process can often times be as frustrating as it is messy. Because the ceiling was initially sprayed on in a thick application, it hid many construction mistakes or covered up where the drywall may not have been finished to the extent it would have for a smooth ceiling. 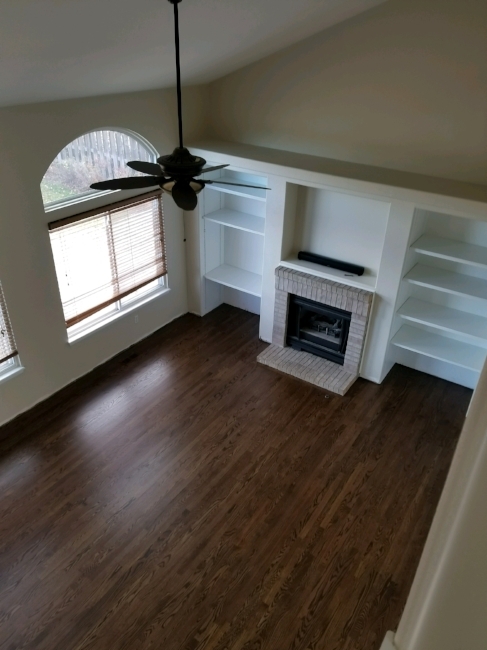 Correcting these issues is a standard part of our popcorn removal so that the ceiling you're left with is a smooth and finished as it can possibly be and one of the reasons a homeowner may choose to have the popcorn professionally removed rather than tackling the project on their own. Another possible reason is the dust. And there will be a lot of it! 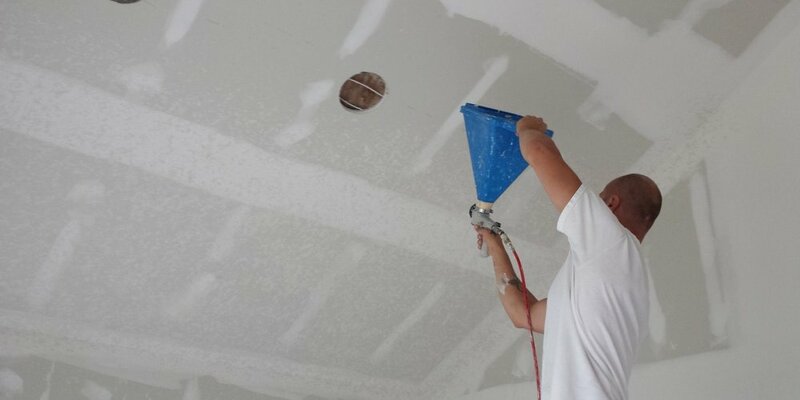 The scraped popcorn can put off a very fine dust when it's removed and then the drywall dust created when we're finishing the ceiling can equal quite a bit of dust in your home. Which is why we only take on jobs in empty rooms. We do extensive prep work to minimize the dust that escapes the work area - including covering the walls and all exposed surfaces with thick plastic, and putting down a double layer of protective plastic on the floor. 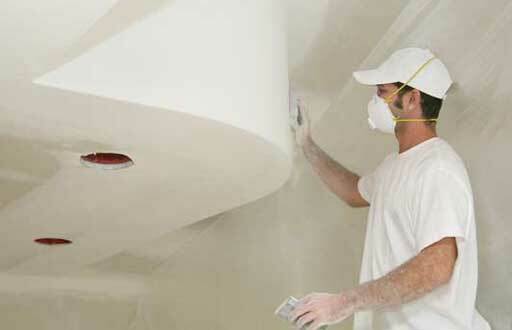 Let us handle the dirty work so all you have to do is pick out the ceiling color and let us take it from there! Please note - for your safety and that of our team, we may require an asbestos test prior to the start of work.